Jamaica is an amazing country with numerous historical & natural beauties to explore. I have had the pleasure of visiting a few of these places & decided to share them with you my lovely readers. The Morant Point Lighthouse built in 1841 is listed by the Jamaica National Heritage Trust as a National Monument. 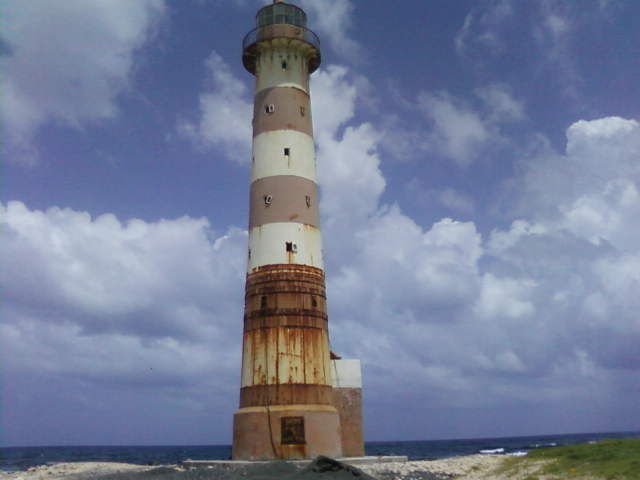 It is the oldest lighthouse in the island. Built of cast iron tube, cast in London it is 100 feet long with a diameter of 5 feet at the base, and 3 feet at the cap. It is located in the most easterly point of the Island. The labour used in erecting the Lighthouse was supplied by kru-men from Africa. They were among the free Africans who were brought to Jamaica. Colonel Thomas Fuller received the Thetford property as a reward for his role in the 1655 capture of Jamaica by the British. He and his wife Catherine later gave 30 acres of the land from the estate for the construction of the St. Dorothy’s Church. The exact date of construction of the original house at Thetford is not known. It was destroyed, and the remains can still be seen. During the late Nineteenth Century a new residence was constructed, a two storey Jamaican Georgian house by its owner Vincent Verley. TO THE uninformed, it’s just another roadway. To members of the community, it is just there. To visitors, it is billed as the ‘Eighth Wonder of the World’. To nature lovers, it is an awesome piece of natural formation, a bridge that crosses a deep limestone ravine. It consists of many layers of rock attached to two steep limestone cliffs. Located in the heart of Riversdale, St Catherine, this natural bridge hangs about 60 feet above one of the tributaries that flow into the Rio Cobre. The river runs through a wide arch, the top of which is the bridge. This geological wonder seems to have been created by the dissolution of limestone. The karst scenery within the valley testifies to this. Huge layered boulders in the riverbed directly under the bridge obviously had fallen from it over time. To see the grandeur of it all you will have to travel down 125 steps to the edge, and another 30 into the riverbed. The experience can be overwhelming with the jagged cliffs rising several feet into the air. On one side, there are interconnected caves, inhabited by bats. The Cave Valley Sugar Estate was probably built in or about 1872 as the plaque on the chimney bears that date. The chimney was once part of the sugar factory and took smoke and fumes away from the factory. The Cave Valley Sugar Estate produced sugar, molasses, and distilled rum. The Towering Cave Valley Estate Chimney serves as a reminder of the ‘hey-day’ when sugar was ‘king’ and is one of the few such remaining structures. It also serves as an important landmark in the community because it ‘announces’ one’s arrival in the village. One of the most picturesque natural harbors in the Caribbean, Discovery Bay was renamed in 1947 to commemorate the place where it was once thought that Christopher Columbus first set foot on Jamaican soil. Since Columbus, many others have discovered the beauty of Discovery Bay, and over the years a small town has developed around the bay area. On one side of the bay lies the Kaiser Bauxite Company’s wharf and Columbus Park, which overlooks the azure cove from the western end. On the other side are various private homes, resorts and the family-oriented Puerto Seco beach, whose pristine white sand and relaxing appeal can only be described as breathtaking. Dunn’s River Falls is one of Jamaica’s national treasures. Globally, it is as well known as Reggae and equally stimulating. There are few places where the Arawak name “Xayamaca” – land of rivers and springs – is more apt. The Spaniards called the area “Las Chorreras” – the waterfalls or springs – and it is truly one of the most beautiful spots on the island. A stone’s throw from Ocho Rios… Dunn’s River Falls is unique. Described as a living and growing phenomenon, it continuously regenerates itself from deposits of travertine rock, the result of precipitation of calcium carbonate from the river, as it flows over the falls. The small dome-shaped cataracts are usually associated with thermal spring activity found in limestone caves. This, combined with its location near to the sea, gives Dunn’s River the distinction of being the only one of its kind in the Caribbean, if not the world. Check out the Dunn’s River Falls official website here for more information. St. Ann’s Bay is the capital and administrative centre of the parish [of St. Ann]. It was originally called Santa Gloria by Christopher Columbus on his second voyage in 1494. One of the most famous sites in St. Ann’s bay is the statue of the Right Excellent Marcus Garvey, the town’s most renowned resident. Garvey was born in St. Ann’s Bay in 1887.A larger-than-life statue of Marcus Garvey stands outside of the St. Ann’s Bay Library at the east end of town. The location is a fitting tribute to Garvey who had a well renowned love of reading. The history of Our Lady of Perpetual Help begins in 1534 when construction began, under the watch of Abbot Peter Martyr. However, shortly after construction began the capital of Jamaica was moved to St. Jago de la Vega (now called Spanish Town) and the church was not completed. The church was known as the Peter Martyr Church, if it was completed this would have been the oldest church in Jamaica. It is believed that the church was incomplete when Jamaica was captured by the British in 1655. Following the arrival of the British, Catholicism was outlawed and the church fell in to a greater state of disrepair. In 1925, the owner of the Seville Estate, Mr. William Hoskins gave title to five acres of land containing the Peter Martyr Church site to the Catholic Bishop. Mr. Hoskins felt that the site of the historic remains of the first stone church should be given back to the Catholic Church. The pastor for the area, Father Raymond Sullivan, began a vibrant fund raising campaign to build a church. It was decided that as far as possible only local material should be used in its construction. The Superintendent of the Public Works for St. Ann, Mr. Harold Brownlow was engaged as the architect and between 1939 and 1943; a beautiful “Spanish style” church was constructed from cut-stone and local timber. This Church which was named Our Lady of Perpetual Help Church, was built adjacent to the site of the Peter Martyr Church ruins and is located on the same property. In fact, some of the stones used in the construction of Our Lady of Perpetual Help Church originated from the structure of the Peter Martyr Church. This current Church is therefore forever linked and intimately associated with early Sixteenth Century Church. The Church (now a national monument) is attractively clad in foliage and it’s grand entrance is flanked with royal palm trees. The Church is located at the far west end of town, close to the statue of Christopher Columbus. 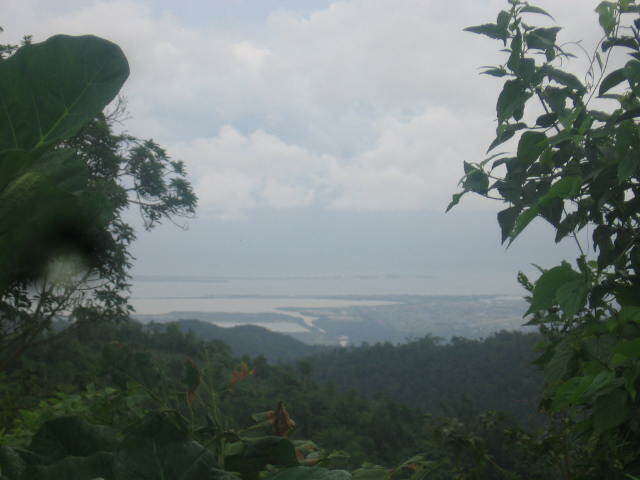 Fern Gully is a winding scenic stretch of roadwhich starts in Ocho Rios and runs for three miles, ending up in the community of Colgate. The area gets its name from the wide variety of ferns which grow in the area, towering high above the road forming a shady tunnel of lush greenery. The varieties of plant life may be lost on many visitors but keen botanists will enjoy seeing approximately 300 varieties of fern in addition to other species such as Blue Mahoe and Banana trees. The roadway through Fern Gully was established in 1907 when an earthquake destroyed one of the eight rivers in the Ocho Rios area. The river bed was subsequently paved and the roadway was established. The Highway 2000 is Jamaica’s first toll highway. Thank you for stopping by & I hope you visit some of these Jamaican gems.